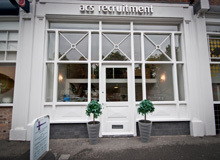 We are looking to recruit a Full-Time Sales / Lettings Negotiator in Merseyside. •Negotiating property Sales and Lets, liaising between landlords / tenants and vendors / purchasers. •Registering purchaser / tenant details and matching them to available properties. •Carrying out accompanied viewings with purchasers / tenants. •Recommending the company’s other products, such as insurance and financial services. •Liaising with Solicitors, Mortgage Lenders and Surveyors as part of the Sales Progression process. •Keeping a close eye on the local market, noticing any changes and recognising opportunities. Ideally you will already be an experienced Estate Agent, with a good knowledge of both Sales and Lettings and a good knowledge of the local area. •Full driving licence and own car. •A good understanding of Estate Agency and the Sales and Lettings process.